I’ve been hunting for a night diapering solution that won’t leave clothing and sheet soaked in the morning. I had been using a Bumgenius 3.0 on the large setting (we use medium during the day) with an insert and 3 doublers. It was working OK I suppose, though usually my son’s pajamas were wet on the back right above the diaper. Since it’s winter, he’s also been using a fleece sleep sack. That has helped somewhat, since it at least keeps the sheet dry. Lately however, he’s woken up even wetter. All the stuffing also sometimes causes a gap at his leg. He often rolls onto his side to sleep, which caused him to pee right out of the leg gap, soaking everything and waking himself up! I’ve been looking for something else to try. Enter DryBees. 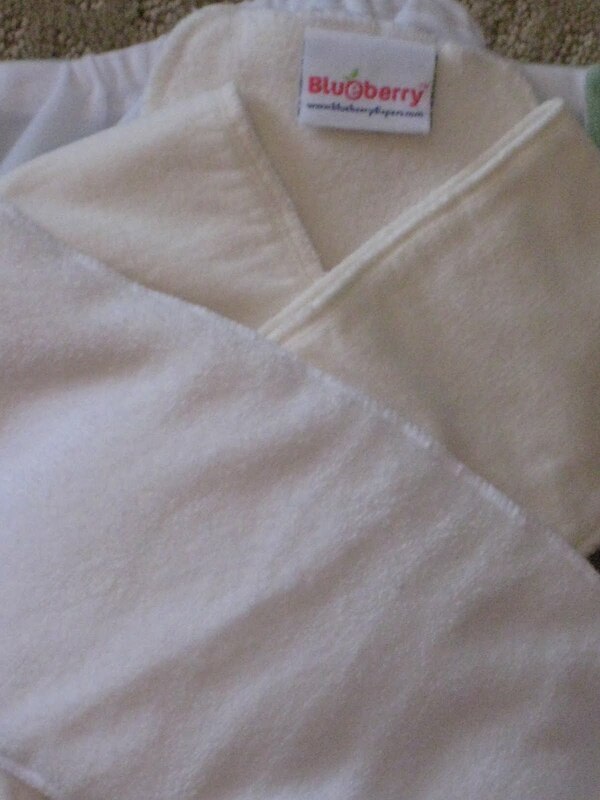 I bought a DryBees Fleece Night Time diaper from Abby’s Lane. I found a coupon code for 5% off, got free shipping, had $3 in my Paypal account from a survey, and Abby’s Lane included a free microfiber insert. not bad for $15.52! I really liked the charcoal color, but they didn’t have the size I needed, so I bought sage. I chose a medium, which should fit 14-22 lbs. The outer is heavy weight Malden Mills Windpro fleece and the inner is suede cloth. The inner is definitely stiffer and rougher than the micro fleece inner most of my other diapers have. 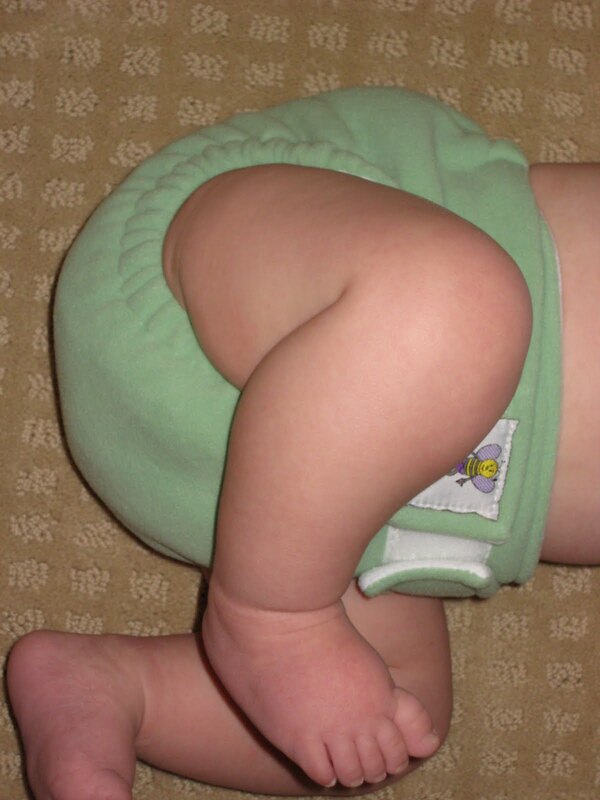 I tried the diaper on Saturday during the day, just to see how it fit. I used just the microfiber insert it came with, and it was great. It fit fine and didn’t leak. I tried it overnight on Sunday. I stuffed it with the microfiber insert it came with, a Blueberry bamboo doubler and two hemp doublers. It was a tight squeeze into the pocket, which is tighter than the Bumgenius pockets. It didn’t seem any bulkier than the BG I usually over-stuff at night. The next morning, his back was wet, but the inserts weren’t completely soaked. I thought maybe it was user error? I quickly washed & dried them to try again Tuesday night. Wednesday morning, he woke up with EVERYthing soaked. Pajamas, sleep sack, sheets, everything. The microfiber insert was not soaking wet but the hemp was. That made me suspect that it had something to do with the hemp being up against the fleece. Wednesday (last night), I tried again. First, I tried to use the microfiber insert it came with, along with 3 microfiber doublers (two from Happy Heiny’s and one from FuzziBunz). I actually couldn’t fit all that in the pocket, so I ditched one of the HH doublers. I fit it all in the pocket! Fluffy and squishy, but no leg gap! This morning, all the inserts were soaking wet, and so was he. So, I’m trying other things! I ordered a Heartland Dreams fitted, a Kissaluvs Wool Soaker and Eucalan Wool Wash (click that link for info on requesting a free sample. I’ll post about wool when I get that stuff. I also ordered Knickernappies LoopyDo and SuperDo inserts. I’ll figure this out yet! I’m guessing I will end up having to use multiple super inserts along with a wool cover! 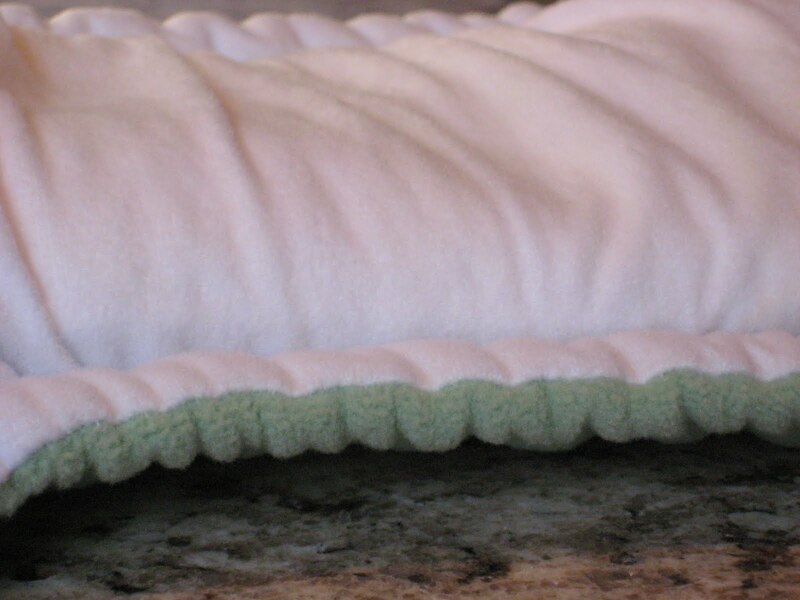 What has also worked for us is a super absorbent fitted, like the Guerilla Fluff Utilitarian with a night-time wool interlock soaker over top. I’ve been reading some of your older reviews and I came across this one. 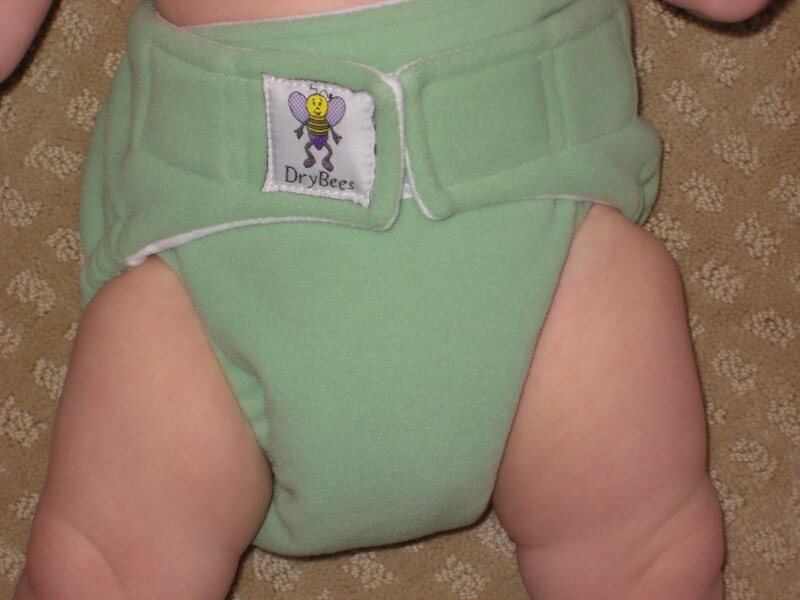 I have a DryBees fleece diaper in large. Mine didn’t come with any inserts. I picked it up for my son but couldn’t get a good fit on the waist as he is so skinny. Also he got bad red marks from the elastic, a reaction, not from being tight. So I put it away. I now use it on my daughter and it has done well. It’s still big on her but it works. 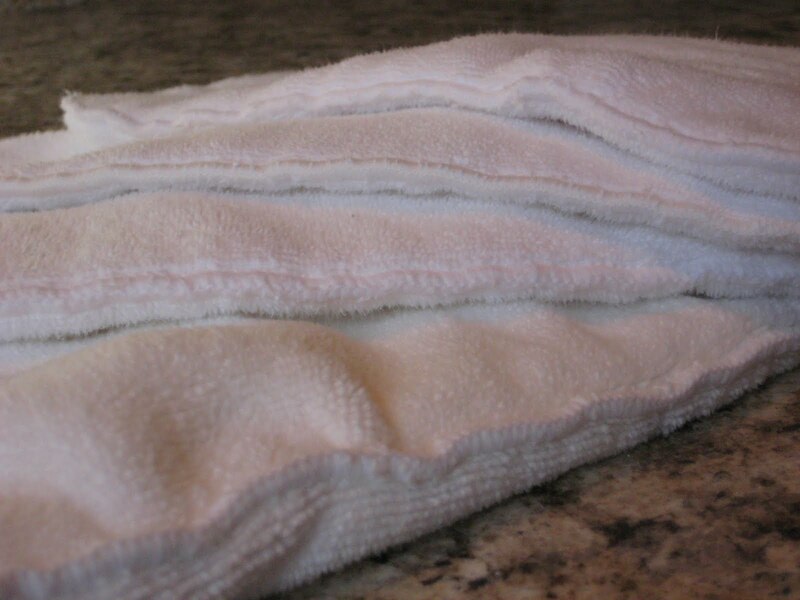 I stuff it with a large cotton prefold (Imagine organic) and a Best Bottoms staydry insert. The key is I put the staydry insert top down against the pocket with the prefold on top. That way fleece is touching fleece. I think it makes all the difference. I donated mine so I can’t try that, but I’m glad you figured out how to make it work! 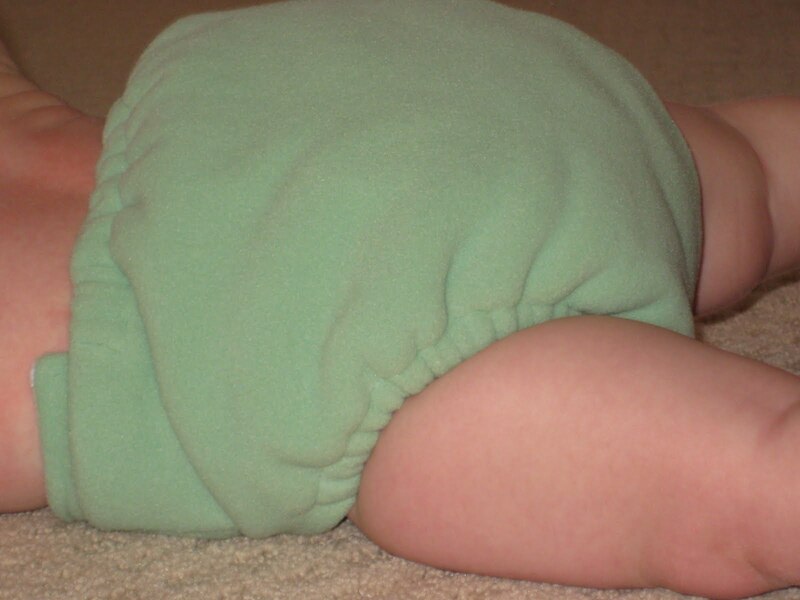 Now I am using Geffen Baby hemp jersey prefolds in a Bumgenius pocket. I’ve been doing that for over 2 years now and it’s working very well! >You might just be overstuffing this one. We use this for night and have had good luck through two girl babies. With my first I used a small and a large microfiber. On the second I use 2 large microfibers. 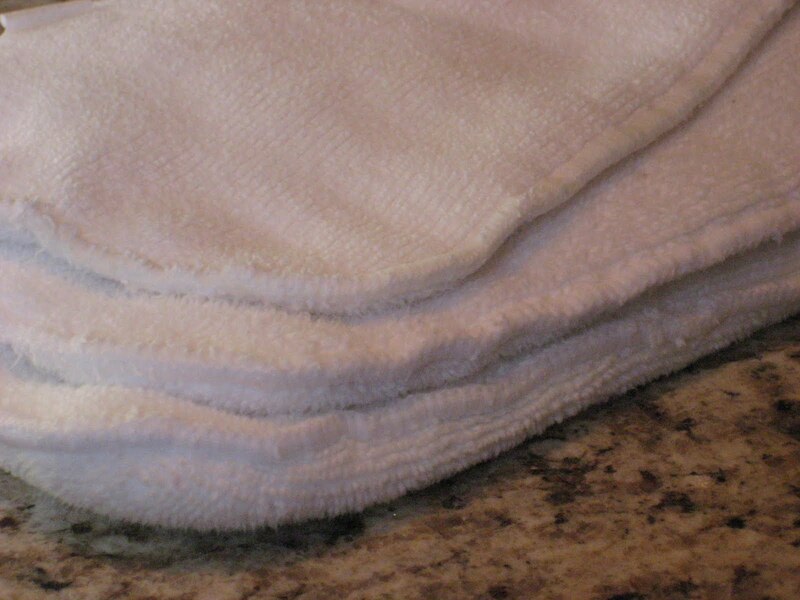 If you are using hemp or bamboo doublers, you should make sure the microfiber is on top, as it absorbs faster. Another night option I've been dying to try is Krap Katchers Stuff Em Silly. It's also a fleece pocket. The best night solution I've had so far, actually, is a Nifty Nappy Fitted with 2 inserts under a wool wrap or wool longies. >Thanks for the suggestions, I haven't tried either. Seems everyone finds their favorite through trial & error and there's no "one size fits all" solution. Hope I find our solution before I go broke, LOL!